Alabama native Keith Elder has been named dean of Samford University’s School of Public Health effective summer 2016, by Provost and Vice President for Academic Affairs J. Michael Hardin. Elder’s selection follows a national search for the first dean of the School of Public Health. The school was established in 2013 as part of Samford’s College of Health Sciences, and Vice Provost Nena F. Sanders has led the school since its inception. Elder is currently professor and chair of the Department of Health Management and Policy in the College for Public Health and Social Justice at Saint Louis University. 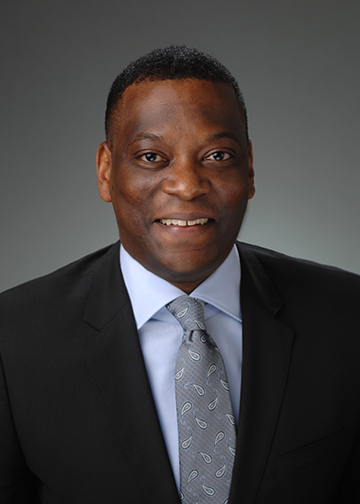 He previously served as faculty in the Department of Health Services Policy and Management in Arnold School of Public Health at the University of South Carolina, and the Department of Health Services Administration in the School of Health Professions at the University of Alabama at Birmingham. According to Sanders, Elder is an accomplished researcher focusing primarily on providing evidence to inform health policy, health-care delivery and health-care processes. He has served as investigator on funded projects by the Robert Wood Johnson Foundation, Alzheimer’s Association, National Institutes of Health, Health Resources and Services Administration, and the Agency for Healthcare Research and Quality. In addition, he serves on the editorial board of leading journals, including the American Journal of Public Health and the Journal of Health Administration Education. In addition to his professional accomplishments, Elder is actively engaged with a number of community and faith-based organizations. He is a member of The Incarnate Word Foundation’s board of trustees and the Saint Louis City Board of Hospitals and Health. He is a frequently invited speaker and is the founder of a long-standing men’s Bible Study at Birmingham’s Sixth Avenue Baptist Church. Elder received his bachelor’s and master’s degree in public health and public administration from the University of Alabama at Birmingham. He also holds a doctor of philosophy degree in health policy from the University of Maryland Baltimore County. Although the School of Public Health is relatively new at Samford, it is founded on the rich history of the Department of Nutrition and Dietetics that was established in 1933, said Sanders. Currently, the School of Public Health offers eight degrees and majors, and is home to the departments of health-care administration, health informatics and information management, nutrition and dietetics, public health, and social work. With the recent introduction of numerous new undergraduate and graduate degree programs, the school is experiencing rapid growth that is expected to continue as a number of additional programs are slated to launch throughout the next five years. “Our country and world continue to face numerous health-care challenges that are best addressed by a comprehensive approach that includes effective partnerships with communities, public health organizations, health systems and academic institutions, and a well-trained public health workforce,” said Elder. “Samford’s School of Public Health is guided by a mission to prepare servant leaders who demonstrate God’s love by promoting the health and well-being of individuals and communities, and to me, that mission embodies what public health is. Building on Samford’s distinguished reputation, the School of Public Health is well positioned to greatly impact the public health of Alabama, the region and the country, and I look forward to being a part of this effort,” he added.